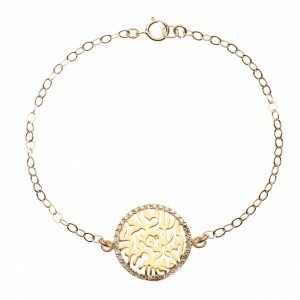 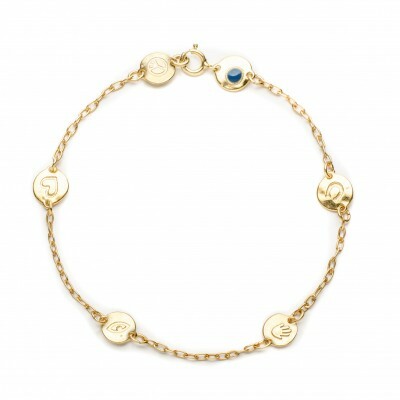 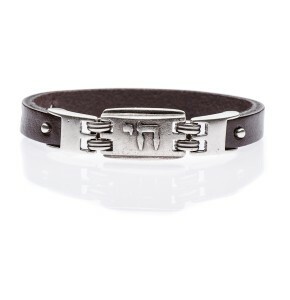 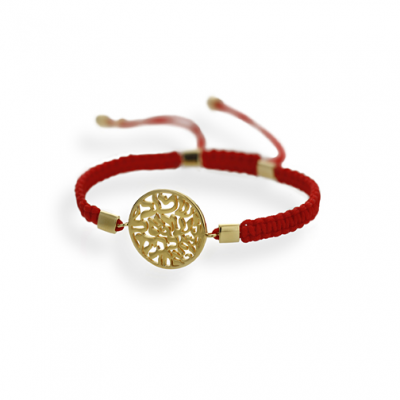 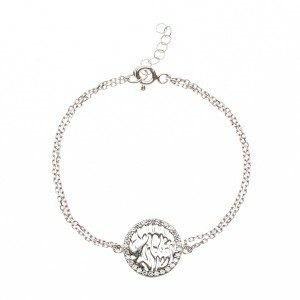 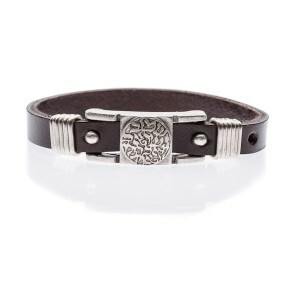 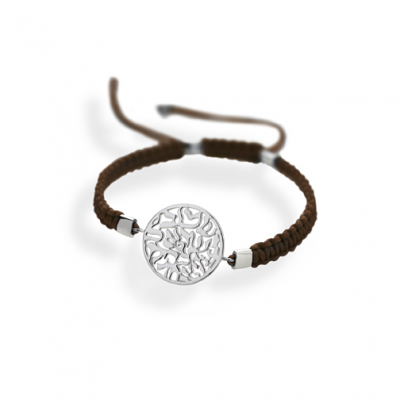 Sterling Silver Gold plated Lucky bracelet. 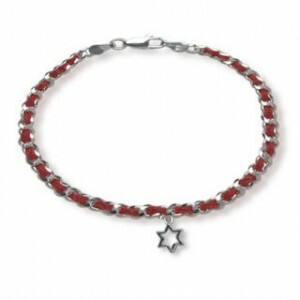 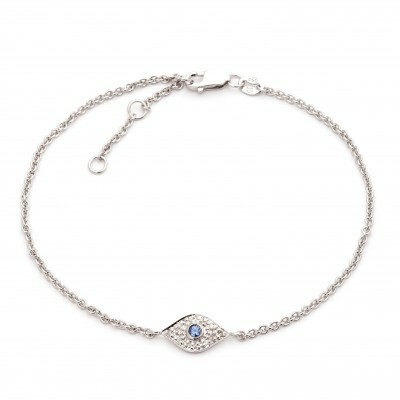 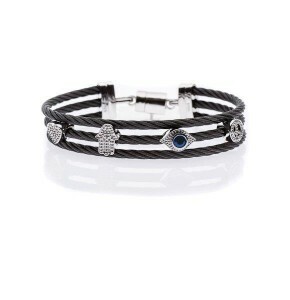 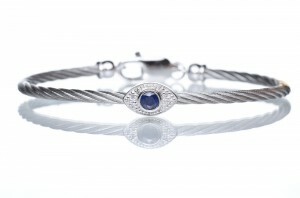 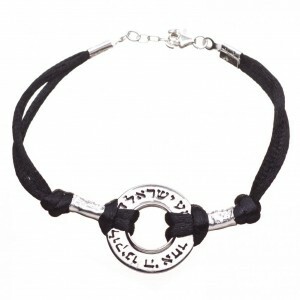 Stainless evil eye bracelet with diamond & sapphire. 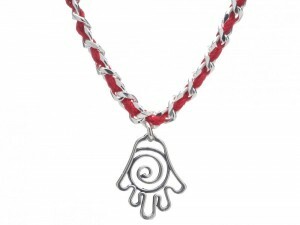 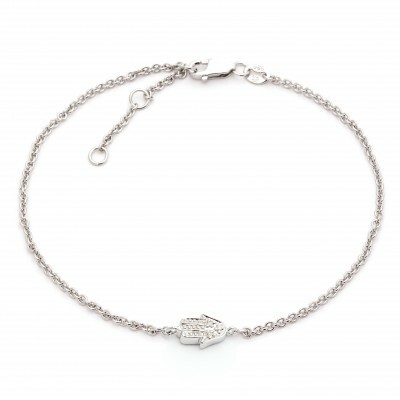 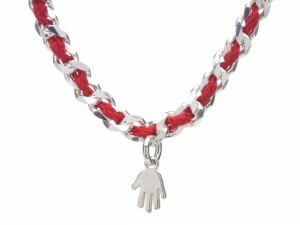 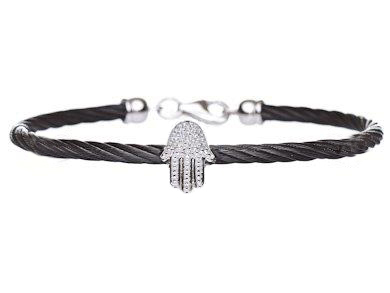 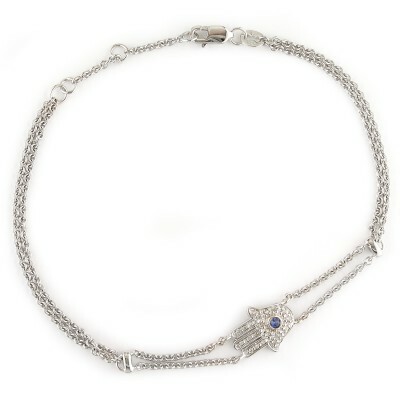 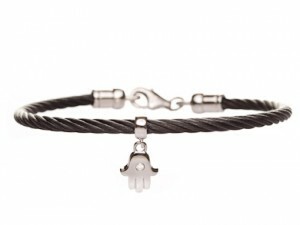 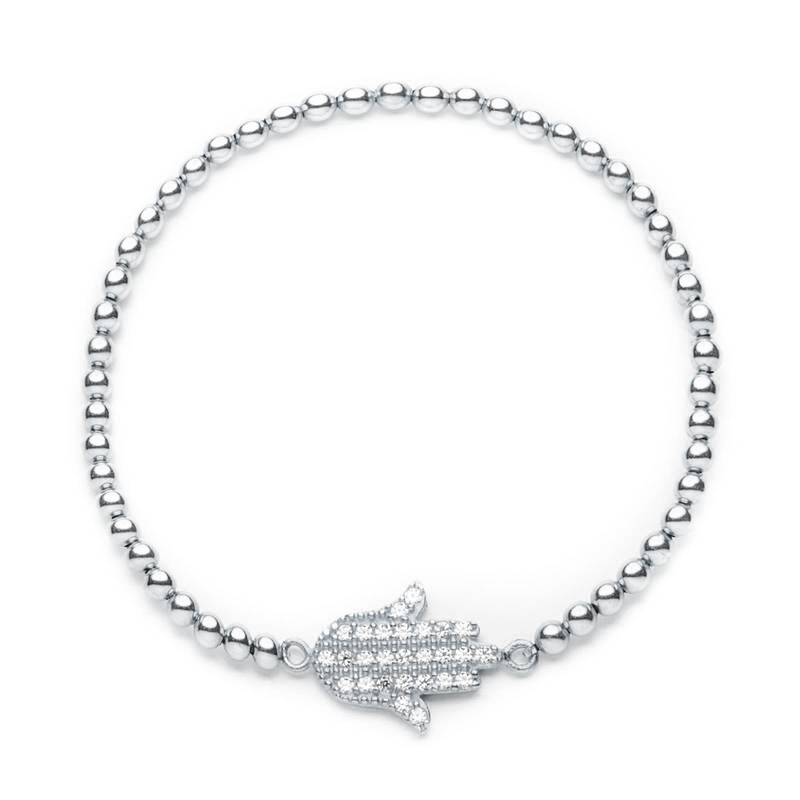 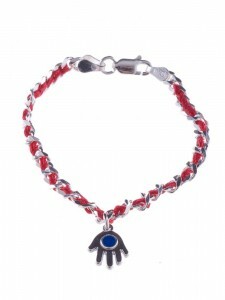 Stainless, Sterling Silver hanging Hamsa bracelet with Diamond.